Čubura is a neighbourhood built around the spring of the Čubura stream, which was filled in in the nineteen-twenties; the name comes from a Turkish word for a type of plant that used to thrive around the stream. Setted streets, bohemian lifestyle, the smell of old pubs – of which, despite the clench of the jaws of globalisation, a few still remain, all have their place here. For instance, one such place is the pub Čubura, where gingham tablecloths bear witness to the most passionate discussions, where foreigners enjoy to sit and black-and-white photos of all the important people that had set foot in this place stare at you from the walls. And no one minds the modest restroom. And the grill smells so beautifully of charcoal. Close to the Čubura park, where Miloš Crnjanski loved to take his walks, just next to the taxi station is the monument to Libero Markoni, journalist, painter, travelogue writer, hopeless bohemian, excellent chef, but, first and foremost, a Čuburian. 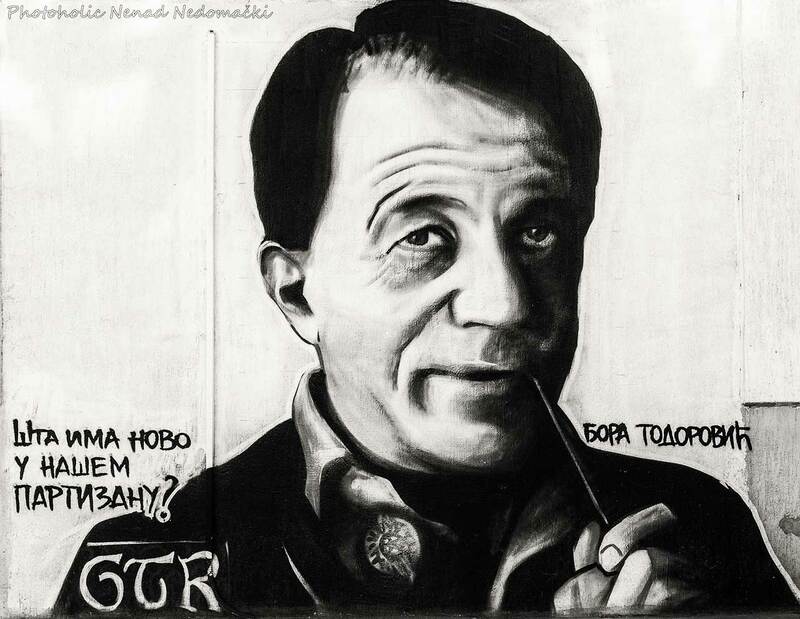 He spread the spirit of this neighbourhood world-wide, wherever he set foot, from Sicily to Russia. And when he walked, played his guitar or told his stories, he was always surrounded by audiences in pubs everywhere. This is how the famous book, which was a smashing hit in the eighties, came to be – „Sto ludih ručkova Libera Markonija“ („Liber Markoni’s One Hundred Crazy Lunches“), with a myriad of recipes – essays with very inventive titles – „Impoverished Lover’s Lunch“ or „Lunch of Schoolteachers with Too Much Time on Their Hands“. In addition to being masterfully written, they are very edible, with precise instructions on what music to listen to with which meal and what drink will soothe your palette the most under Čuburian sun. Libero Markoni attempted to cure his bohemianism several times, once even at the expense of the state, which sent him and Bojan Stupica (the two were then known as „public drunkard no. 1 and no. 2“) to rehab to cure their alcoholism. He did partially succeed, but he never truly „cured“ himself of Čubura. Momo Kapor, too, arrived to Čubura as a child, from Sarajevo; his life would later take him hither and thither, only to return him to Nebojšina Street to end his life’s tumultuous journey on Earth there. A small street in this neighbourhood now bears his name. There is also the street of Borislav Pekić – a dead-end miniature alley where the famous writer lived and from which he moved to London. A special story would have to be written on perhaps the greatest charmer of this neighbourhood – Dragan Gaga Nikolić; he is more of a „crusader“ (a resident of Red Cross, a near-by neighbourhood, trans. note) himself, but in his last decades, he lived in Čubura. 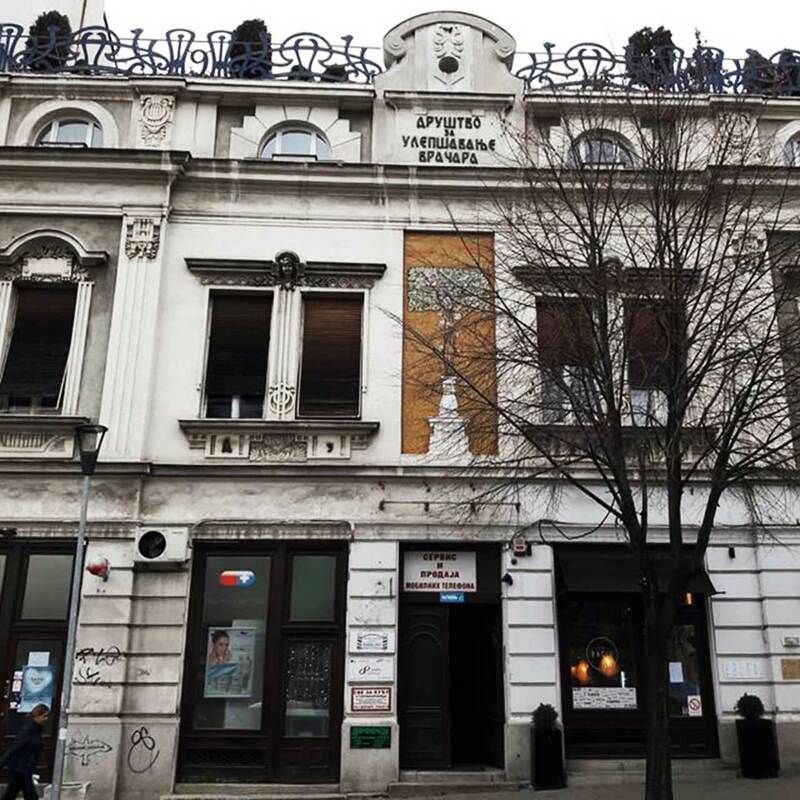 His residence – you could even call it his living room – was the pub Talija in Nevesinjska Street, which is sadly now gone. Adventures of the two best friends and unique actors, Gaga Nikolić and Bora Todorović, have achieved mythic glory. Even the Facebook-born generations find them interesting. This charm, the irreparable propensity for jest and the talent to make the day brighter are simply timeless. There are many secluded and dead-end streets in this neighbourhood. There are also numerous roofs where people wait for sunrise in the morning, but one of them is truly special. I had the privilege of living there for about ten years and one of the greatest Serbian journalists, Miro Radojčić, then nearing the end of his life, used to tell me: „There’s nothing that you have that I envy – not youth, not writing, not the fact that you will be discovering some new world – the only thing I envy you for is that you live in Nevesinjska. A small street that starts with flowers and ends with the Trandafilović pub.“ The Trandafilović pub is now gone, it is now the site of a large cosmetics shop from an international chain; the flowers from the Kalenić green market still spread their sweet scent and Nevesinjska breathes a new type of charm. I guess Miro no longer envies me, not even for that.